The Delta 1200 cleans 1200 glasses per hour on a composite carousel conveyor that prevents chipping and other damage to your glassware. Its many features include a 12″ clearance that accommodates taller glasses, mugs and stemware, as well as all stainless steel construction of wash arms, rinse arms and manifold. 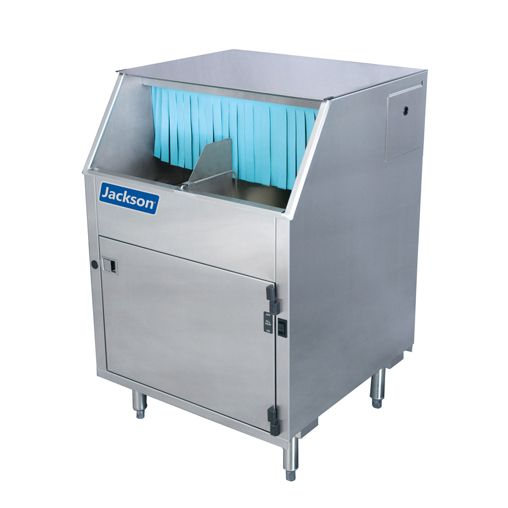 Other standard features include built-in chemical pumps and priming switches, onboard chemical storage, easy to remove stainless steel scrap screen and adjustable rinse control for flexible sanitizing methods.